The Senate has given final approval to a bill funding the Federal Aviation Administration (FAA) and sent it to the White House, where President Trump is expected to sign it into law. The final version of the measure contains some things consumers asked for, but it has failed to provide any relief from airline fees. Under the new law, the FAA will be required to establish minimum seat size and leg room standards for airlines. The standard for commercial airline seats will include a minimum pitch, establishing the distance between seats. Consumers have complained in recent years as airlines have reconfigured cabins to include more seats. In July, the consumer group Flyers' Rights petitioned the FAA to require airlines to abide by minimum seat standards, but the agency declined to do so. 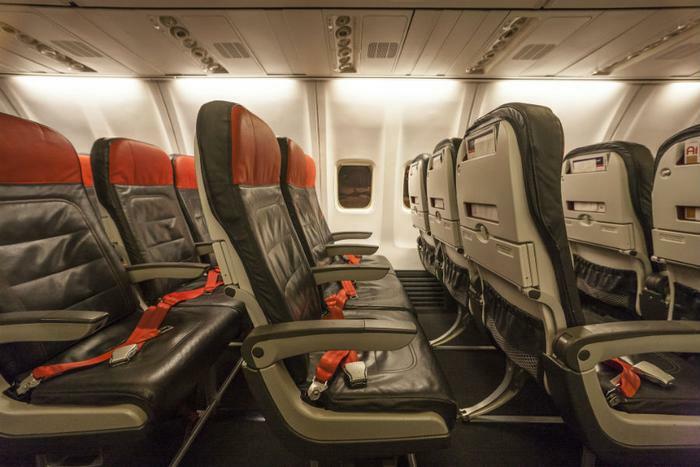 The group said tight seating configurations make it difficult for passengers to evacuate an aircraft in the 90 seconds required by FAA regulations. The FAA, however, said its tests -- called questionable by Flyers' Rights -- show that it is possible. The new law will require the FAA to mandate minimum seat requirements but does not tell the agency how to determine those standards. The new law will also prohibit airlines from bumping a passenger who is already on board the overbooked aircraft. That stems from an incident in 2017 when a passenger who refused to give up his seat was forcibly removed from a United Airlines flight, resulting in injuries. The new law, however, will not provide relief from the fees that airlines have attached to things that were once provided at no charge. As it considered the legislation, a Senate committee added language to limit fees for checked bags and changed flights, requiring them to be "reasonable." After a vigorous lobbying campaign by the airline industry, the language about fees was stripped from the bill. Sen. Edward Markey (D-Mass.) voted against the measure, saying Congress missed an opportunity to protect consumers from what he called "ridiculous fees." “It is Congress’s obligation to protect the public from abusive practices that harm consumers," Markey said. "Instead, after a ferocious lobbying blitz by the airline industry, the airlines won, and passengers lost. The result: airline fees remain sky high and frustration with the modern flying experience continues to grow." Airlines began adding fees in 2008 when fuel prices were at an all-time high. It enabled airlines to increase profitability without raising advertised fares.